Express DNA Testing offers dedicated services for all types of paternity testing. We take care of all the paperwork and you receive results in 3-5 business days. Express DNA offers many locations for paternity testing services in “The Last Frontier”. A focused attention on customer service and accurate DNA testing is Express DNA Testings top priority. Call 1-800-993-1495 to order your paternity test today. We service 735,000 people in Alaska with express and accurate paternity testing services. Private Home Paternity Testing and court approved Legal Paternity Testing easily available. Call now to learn more about our testing process and order an express test. 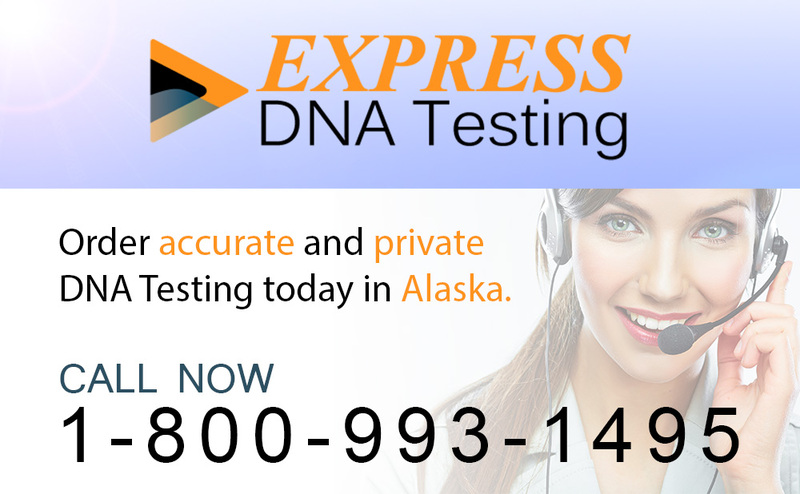 Express solution to finding Paternity Testing in Alaska. In just a just minutes you can order accurate and fast testing for paternity. Call our paternity testing experts to order a test in Alaska. Have your question answered and setup a paternity test easily. Get accurate results through AABB accredited laboratories in Alaska. We use the highest quality DNA testing for all types of paternity tests. When ordering our testing everything is included for complete results. No additional or hidden fees. Just one low price for accurate testing services. Express DNA provides DNA testing for all types of relationships. Testing services are easy to accommodate and affordable. A large network off laboratories means we are always close. Helpful information and links to paternity testing laws in Alaska.